As For Football’s College Football Show with your host Rob Wright. 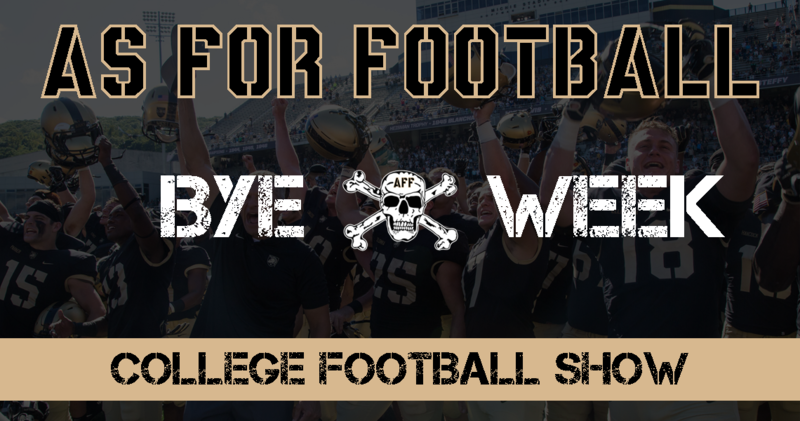 In this episode we react to Army remaining in the Top 25 for the second consecutive week and discuss Bowl Projections among other things. Rob is joined by Dan Cabeza with guests Austin Luher and Alex Funderburke. The group discusses the AP/Coaches Top 25 (2:11), CFP Rankings (3:41), Army’s Recipe for Success Part II (9:46), Army Bowl Projections (18:11), Academy Option Play of the Week (32:33),Play of the Week from CFB (34:29), and Rob tells you the Best Thing he’s seen all week (35:06).